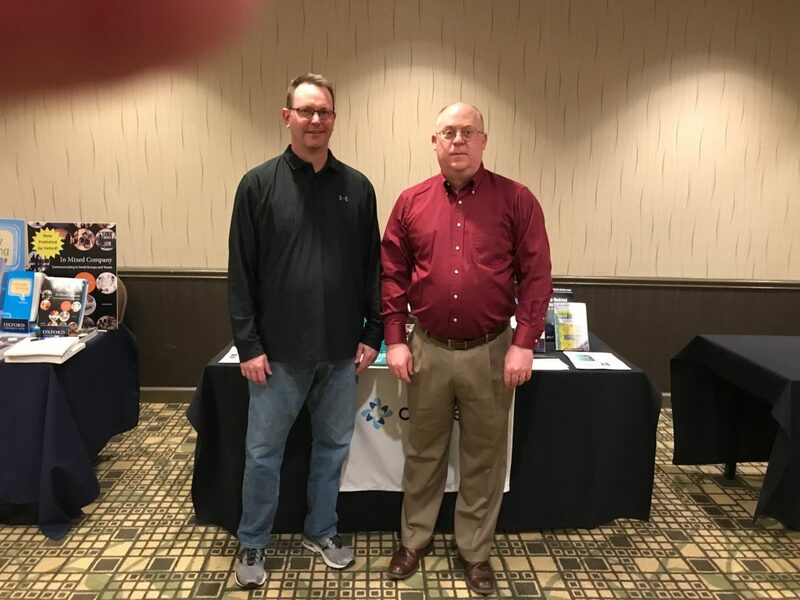 We were delighted to host a table at the Central States Communication Association (CSCA) 2019 Annual Convention! 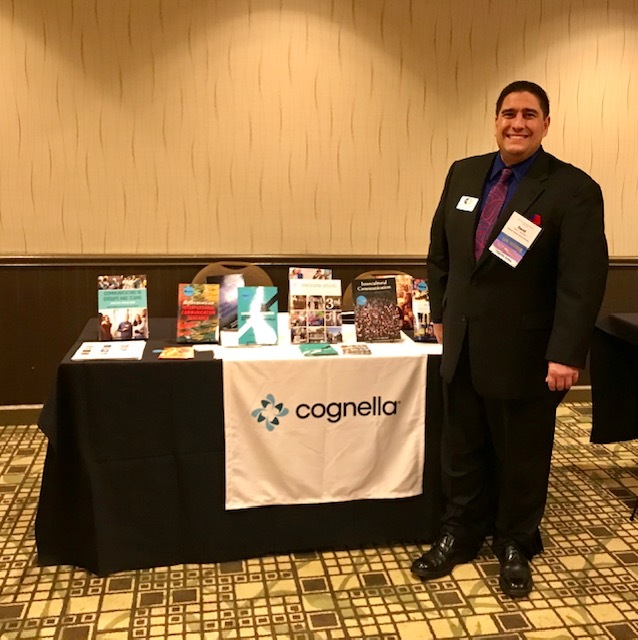 It was great to meet new instructors and professionals in the discipline, showcase our titles, and visit with our authors in person. 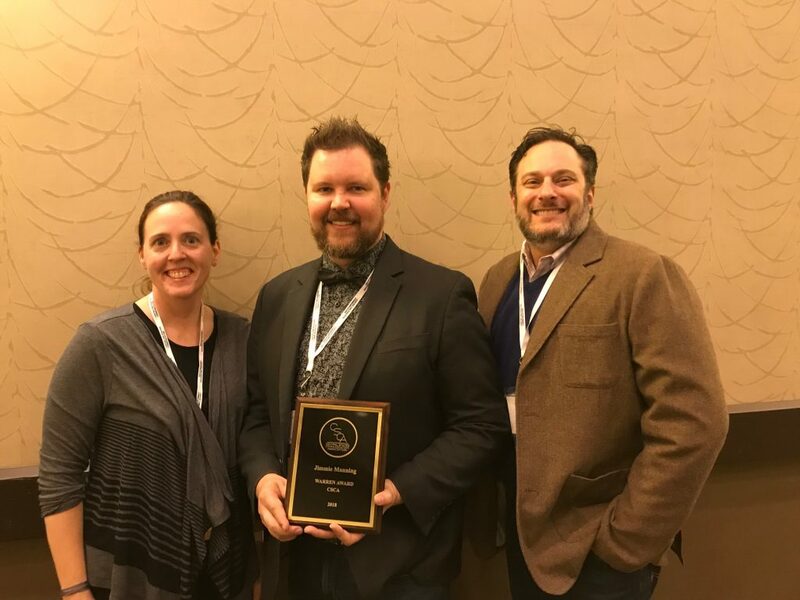 During the convention, three Cognella authors, Scott A. Myers, Jimmie Manning, and Amy Aldridge Sanford, were recognized by CSCA for their incredible contributions to the communication discipline. In addition, a panel on which Scott Myers and Cognella Publisher Todd Armstrong sat received a Top Panel designation. Read the press release to learn more about these honors and the exceptional ways in which our authors are advancing the discipline. 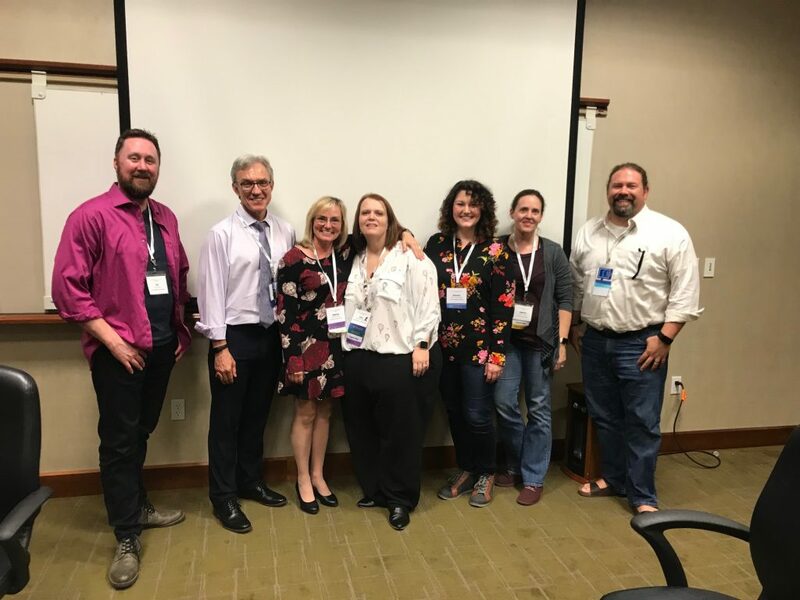 Check out our photos from the conference below, as well as our list of new and coming soon titles in communication studies. 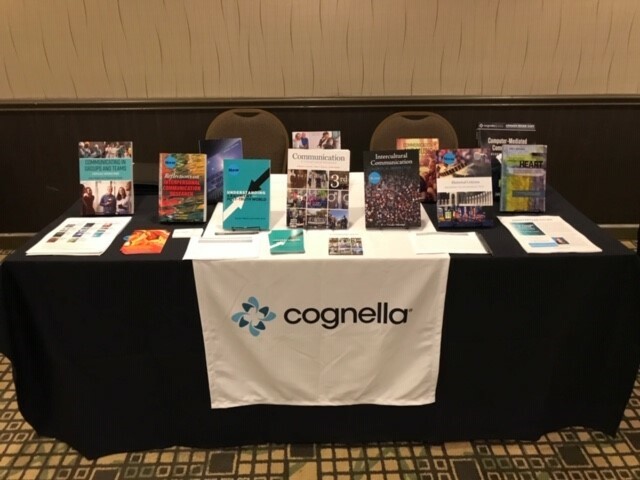 If you’re interested in adopting a title or talking to one of our acquisitions editors about publishing a book with Cognella, fill out our form, and one of our team members will be in contact with you as soon as possible. 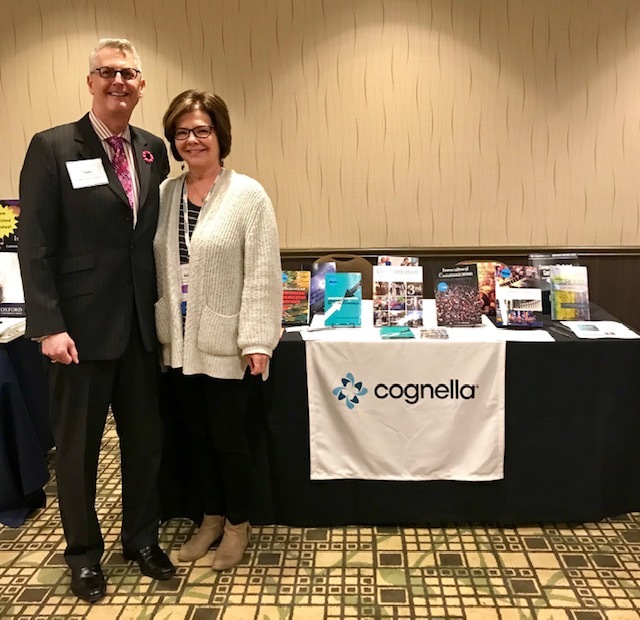 (From left) Amy Aldridge Sanford, president of CSCA and author of the forthcoming text From Thought to Action: Developing a Social Justice Orientation, and Cognella Publisher Todd Armstrong, who oversees the Communication, Journalism, and Media Studies list for Cognella. 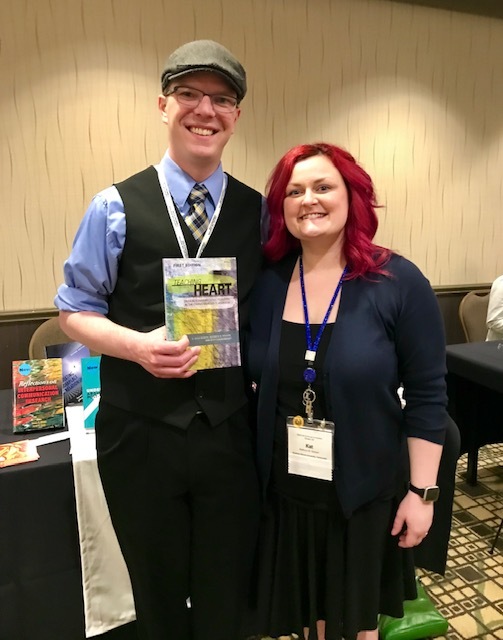 (From left) Coauthors C. Kyle Ruddick and Kathryn B. Golsan show a copy of their Cognella title, Teaching from the Heart: Critical Communication Pedagogy in the Communication Classroom. 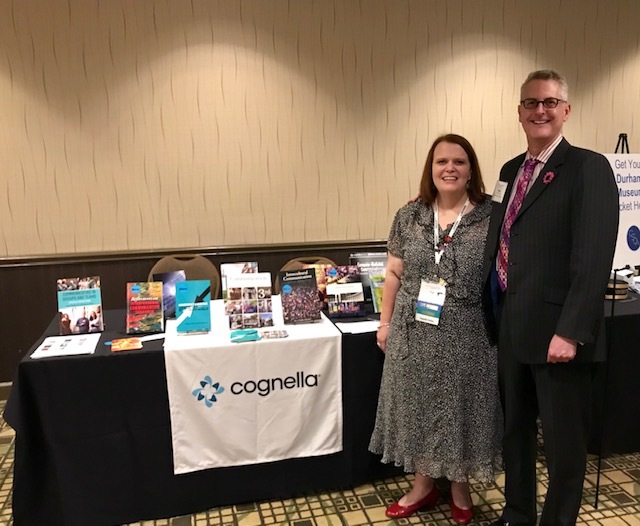 David T. McMahan, second vice president of the National Communication Association, past president of CSCA, and coauthor (with Steve Duck) of the upcoming text Relational Communication: An Exploration of Personal Relationships. (From left) Todd Armstrong with Roberta Davilla Robbins, past president of CSCA and coauthor (with A. Frank Thompson) of the upcoming text Communicating Finances in the Family: Talking and Taking Action. (From left) The communication scholars behind the forthcoming text Communication Is…: Perspectives on Theory: Art Herbig (contributor), Tim Sellnow (contributor), Deanne Sellnow (contributor and past president of CSCA), Amy Aldridge Sanford (contributor), Autumn Edwards (volume editor), Deanna Fassett (contributor), and Adam Tyma (volume editor). 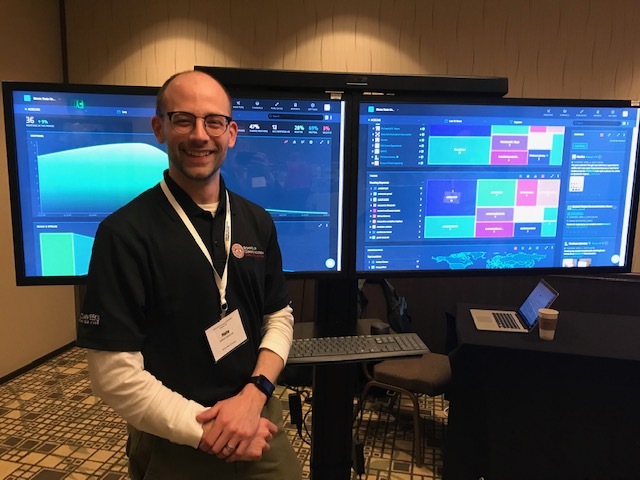 Nathan J. Carpenter, coauthor (with Joseph P. Mazer and Michael W. Kearney) of the forthcoming text Research Methods in Social Media, stands in front of monitors tracking the use of the official convention hashtag, #CSCA19, on social media. Dr. Carpenter is the primary coordinator for the Social Media Analytics Command Center and manages computer labs for the School of Communication at Illinois State University. 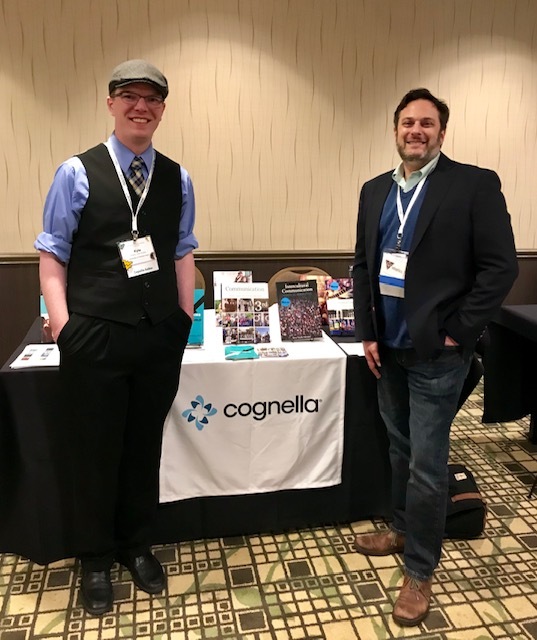 (From left) C. Kyle Ruddick and Nic Zoffel, coauthors of the upcoming text Engage and Activate: Navigating College and Beyond, stop by the Cognella table. 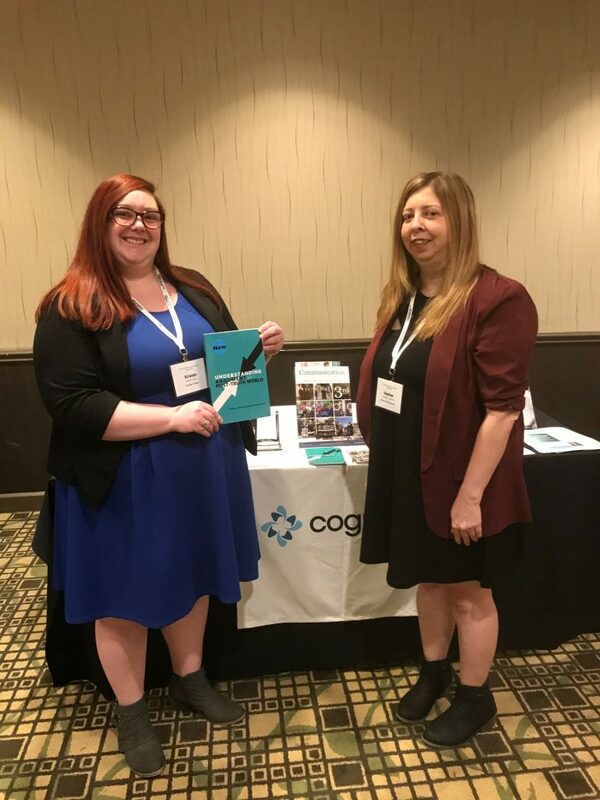 (From left) Kristin Stout and Heather Walters display a copy of their coauthored text Understanding Argument in a Post-Truth World. 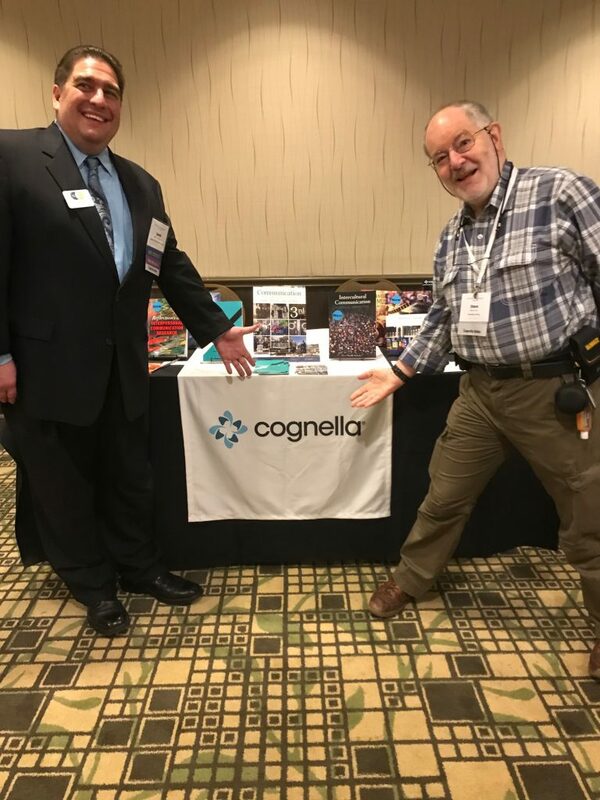 (From left) David T. McMahan and Steve Duck, coauthors of the upcoming text Relational Communication: An Exploration of Personal Relationships having some fun at the Cognella table. (From left) Stephen K. Hunt (past president of CSCA) and Kevin R. Meyer, coauthors of the forthcoming text Engaged Persuasive Communication. 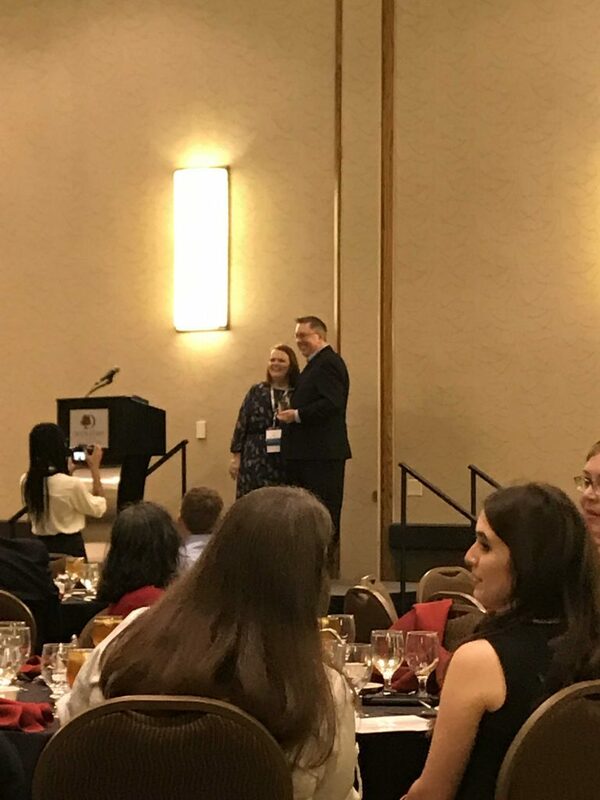 (From left) Amy Aldridge Sanford presents Scott A. Myers with the 2019 CSCA Hall of Fame Award. (From left) Deanna Fassett, Jimmie Manning, and Nicholas Zoffel celebrate Jimmie’s receipt of the 2019 John T. Warren Mentorship Award.